Picture: Queensland Police file image. 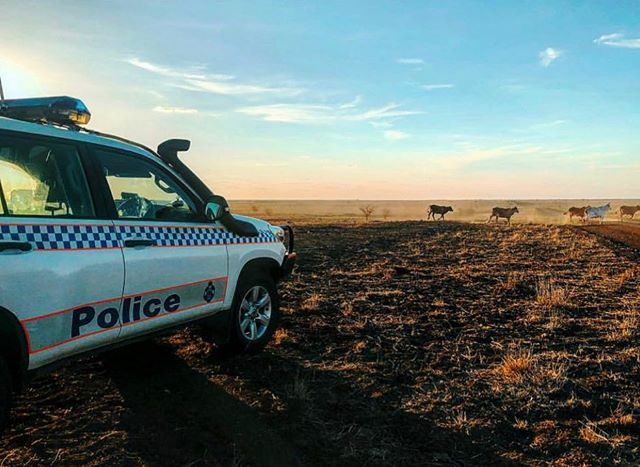 The Queensland Police Service is currently investigating a complaint from a cattle property situated on the Carnarvon Highway between Surat and St George in relation to approximately 200 head of missing cattle. The Droughtmaster cows were being prepared for sale this week, and a muster has failed to locate any sign of the animals. The cows were branded and earmarked. The animals were last sighted on March 13. Current investigations have identified tracks believed to belong to the offenders. Tracks located suggest the offence was completed by offenders on horses, and moved on foot to the stock route. Police are seeking any information from any witness or any person that may lead to the identity of the offenders.